Update: CPeruvian Accoyo Express takes 3 Get of Sires, in 3 tries, in 5 weeks in the months of March-April, 2008, over stiff competition, using 3 of Irish Meadows own show string! Indy, Golden Girl, and Wildfire won it for us both times, Southern Select,IAOBA, & MOPACA! 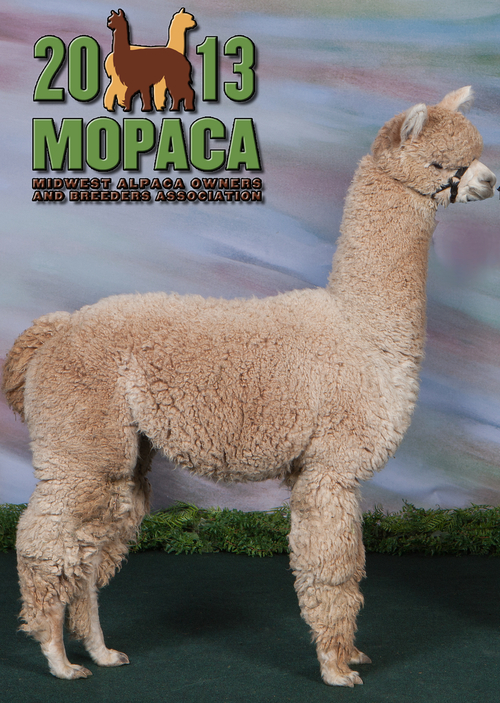 Update: CPeruvian Accoyo Express has thrown the color of the dam or darker, 80% of the time, regardless of dam color! E-mail us to see this amazing color chart! 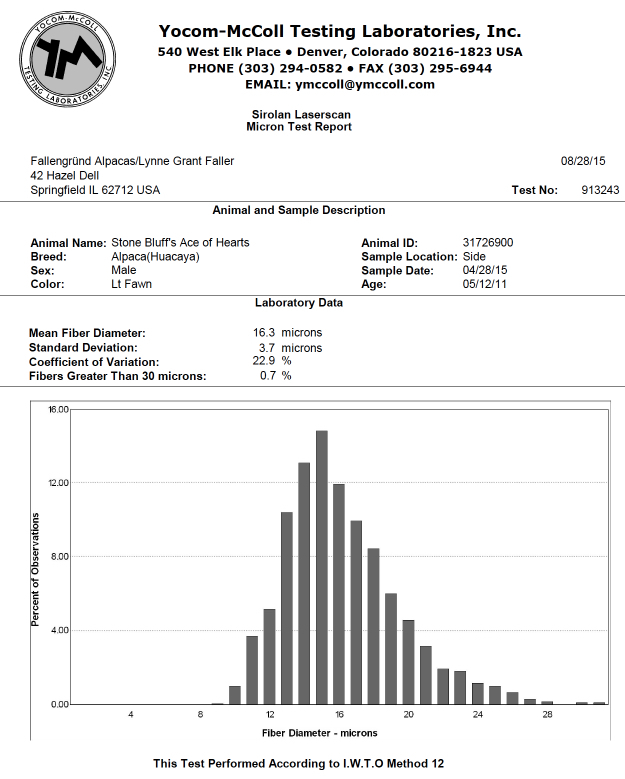 These results from a full Accoyo male are truly rare! Book your colored Accoyo breeding today to this multiple Get-Of-Sire winner! Do you want new, limited bloodlines? 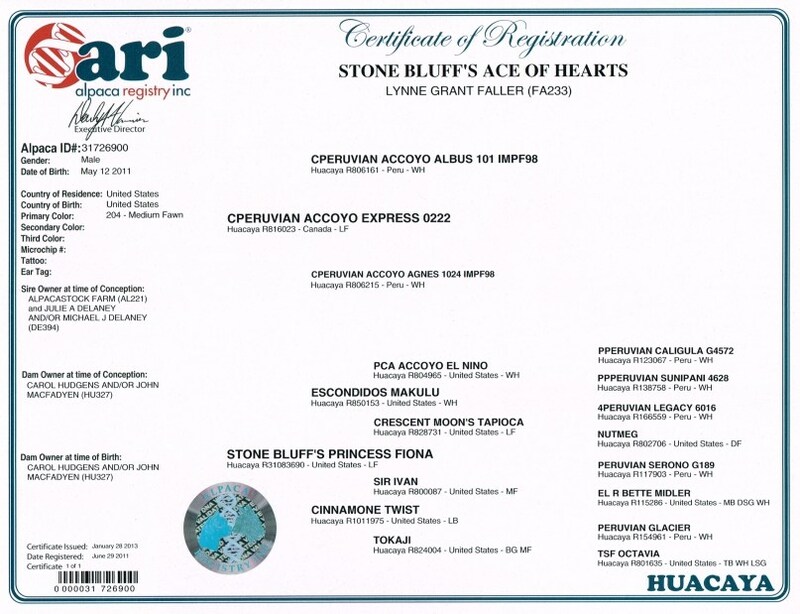 CPeruvian Accoyo Express is the ONLY son of Accoyo Albus in the United States! There are no other ones! Accoyo Albus was exported to England. Accoyo Express is a phenomenal full Accoyo medium fawn male whose bright and lustrous fleece is berber rug dense with well defined bold crimp from the top of his perfect topknot to the tips of his toes. His legs actually have spiraling dredlocks. 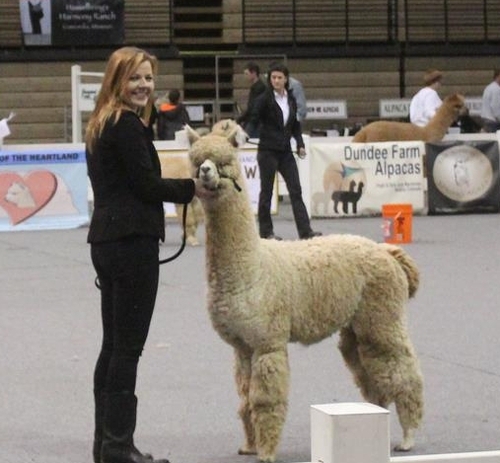 Express passes his awesome presence to his crias, stamping them with show-winning stature and flawless conformation. 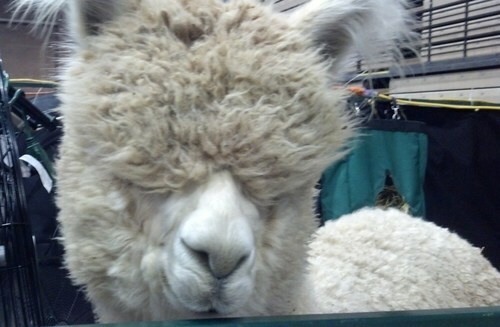 In addition, they inherit his fine micron fleece and calm nature. This national champion signature herdsire has over 400 offspring on the ground. He routinely throws champions. See our foundation girls and the sold list for the success this male has given to us. Book your breeding today. Express regularly throws blacks and greys. Mobile service now available! 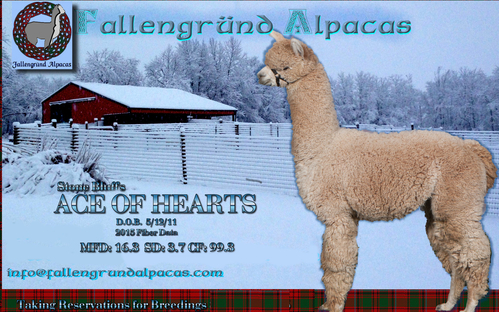 We will bring Express to your farm for an in-house breeding. 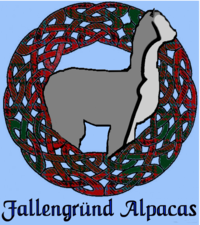 No more sending your newborn cria to a new farm. Princess Fiona is a daughter of the 3/4 Accoyo multiple White Male Champion, Escondido's Makulu. Everything about Fiona reflects the wonderful lineage she carries from Makulu's grandsires, 4Peruvian Legacy and PPeruvian Caligula. 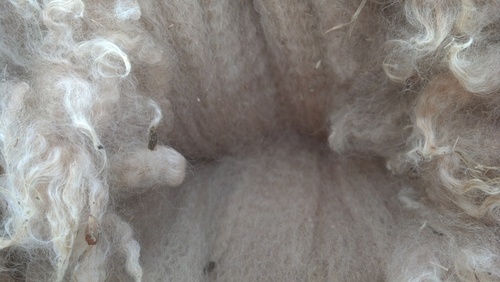 Her bright abundant butter soft fleece has a rich texture with a well defined uniform crimp and extreme density and fineness. Her fine thick fleece convers her from the top of her Accoyo head to her toes, and she has exquisite conformation. Ace has only gotten better with age. Between the ages of 2 and 3 he came into his macho and gained over 25 pounds. His Accoyo lineage really shows in his strong triangular head and stout boxy frame. At 4 years of age Ace's fleece characteristics include extreme fineness (16.3 mfd) and density with high amplitude crimp and bundling. His fiber is consistently stunning on every part of his body. Ace's Dam is Stone Bluff's Princess Fiona who has won 3 Color Championships and a second place ribbon at the 2009 AOBA National Show and a Blue Ribbon at the 2010 Futurity Show. Fiona is an El Nino Granddaughter and her Sire is 8 Time Champion Escondidos Madulu. 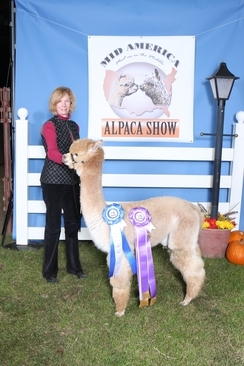 Ace's Sire is the well known National Champion Herdsire CPeruvian Accoyo Express 0222 owned by Mike and Julie Delaney of Irish Meadows Alpaca Farm. He's so fine he'll blow your mind!